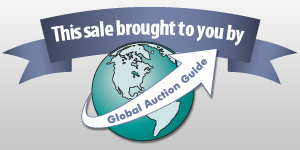 Auction Listings in Illinois - Auction Auctions - Callie Baber Auction Co. Coins, Currency, Silver & More! Auction Company: Callie Baber Auction CoAuction Type: Simulcast (Live & Online Bidding)*Registration and Internet Pre-Bidding Is Available In This Auction.Auction Date: Sunday, February 24, 2019 @ 12pm CTInspection Date(s): By Appointment Only at Callie Baber Auction Co. 232 W. Wood St. Paris, IL 61944.Pickup Date: TBD (Shipping Will Be Available In This Auction For A Fee) See Pickup/Shipping Section in Terms & Conditions Below Location: Callie Baber Auction Co.232 W. Wood St.Paris, IL 61944217.822.3304FOR ONLINE BIDDING GO TO CALLIEBABER.HIBID.COM PLEASE READ TERMS AND CONDITIONS. All bidders, both floor and internet bidders, are bound by the same terms and conditions for this auction including payment options, shipping terms and other elements important to the auction. BIDDING RIGHTS & RESPONSIBILITIES: The auctioneer will determine the highest bidder. The auctioneer alone has the right to reopen the bidding of an item if deemed necessary due to a dispute. If there is a tie bid between the floor and Internet or absentee bid, the floor bid takes precedence. Callie Baber Auction Co. and its representatives reserve the right to remove those attendees who impede preview and/or the auction. The buyer will then assume all risk and full responsibility of the lot purchased once ownership has changed. BUYER?S PREMIUM: 13% Buyer's Premium on all winning bids. 3% Discount if paying with cash or check. Split payments utilizing a credit card must still pay the 13% Buyer's Premium. INTERNET BIDDERS: The initial registration for bidder verification only will be made to AUCTION FLEX. All internet bidders must register for a USERNAME and PASSWORD. Payments for purchases will be made to Callie Baber Auction Co. The buyer is solely responsible for maintaining the confidentiality of your username and password, and the buyer is fully and solely responsible for all activities that occur under your username, password, or on your account. The buyer must ensure that you properly log-out and exit from your account at the end of each bidding session they conduct. Callie Baber Auction Co. cannot and will not be liable for any loss or damage arising from your failure to comply with this section. You must be of legal age (18 years) to bid and provide a valid credit card at registration. Callie Baber Auction Co. reserves the right to cancel this auction at any time. By placing any bid on any item(s), you are entering into a legally binding and irrevocable contract with the Auction Company to purchase the particular item(s) in accordance with the Terms and Conditions of the Auction.PAYMENT TERMS --CREDIT CARDS: Callie Baber Auction Co. accepts VISA, MASTERCARD & DISCOVER. Internet bids placed through calliebaber.hibid.com will be charged to the credit card entered at 2pmCDT on MONDAY, FEBRUARY 25th (the day after the date of the sale). If you are an internet bidder and wish to pay by another method or with bank letter of credit, please contact us within 12 hours of the date of the sale or IT IS HIGHLY RECOMMENDED TO INDICATE SO IN THE ?NOTES TO AUCTIONEER? BOX DURING REGISTRATION. --CASH/CHECKS/MONEY ORDERS: Payment can be made with cash, money order, personal check, certified check or company check only if accompanied by a letter from your bank guaranteeing amount of check for deposit and/or payment in full. Callie Baber Auction Co. will hold items purchased by personal or company check until said check has cleared. SHIPPING/PICKUP: ALL MERCHANDISE WILL BE HELD AFTER THE AUCTION UNTIL PAYMENT HAS BEEN CLEARED AND VERIFIED. At that time, it will be at the sole discretion of the Auctioneer to determine on-site pickup. Buyers are responsible for packing and transporting their purchased items. It is the bidder's responsibility to take shipping and handling costs into consideration when bidding on items. - Packaging, shipping, and insurance on items will be available to successful bidders. NO INTERNATIONAL SHIPPING. If any employee or agent of Callie Baber Auction Co. shall pack or transport the merchandise, it is fully at the risk and responsibility and expense of the purchaser. Callie Baber Auction Co. shall not be held liable for any loss or damage that may be caused by the said agent or employee. All items not removed after the close of the sale may be shipped to the buyer at their expense or may be moved or stored by Callie Baber Auction Co. Fees, rates, and insurance will be charged accordingly to the buyer. - BIDDERS NOT PRESENT OR NEEDING SHIPPING ? The shipping and handling charges will be billed & invoiced separately. In the case of internet buyers shipping, handling & insurance will be charged to on-file credit cards and are NON-REFUNDABLE. Shipping will be based on actual costs via UPS or United States Postal Service. Handling and insurance will vary in cost depending on each invoice. All packages will be shipped with insurance. Items will ship within 3 days after payment is received and cleared. All items are being sold in "as is, where is" condition with all faults and amenities with no expressed, written, or implied warranty. Announcements day of sale take precedence over printed and/or electronic materials and/or verbal statements. Make sure you understand the condition of the item before you bid. Bidder inspection is encouraged. By placing a bid, bidder signifies that they have examined the items to their satisfaction, or that they have chosen not to personally examine them. Please note: Callie Baber Auction Co. and its staff are not responsible for accidents.In the event of a disagreement of any type over this auction, buyer and seller both agree that this will be arbitrated in Edgar County, Illinois. If we have habitual problems with any buyer, they will be barred from future auctions. Internet Buyers, in order to participate and bid in this Auction, you, the bidder, must read and accept all of the terms and conditions of this auction completely. Once you place a bid, you are electronically signing and consenting that you have read and accepted all of the terms and conditions set forth in this agreement completely and without exception. By placing any bid on any item(s), you are entering into a legally binding and irrevocable contract with Callie Baber Auction Co. to purchase the particular item(s) in accordance with the terms and conditions of the auction. All sales are final. The Auction Company, when acting as Agent, is not responsible for the act of its principals. By bidding in this auction, bidder(s) understand that they are in agreement with the rules and regulations of this auction and have no recourse. By placing any bid on any item(s), you are entering into a legally binding and irrevocable contract with the Auction Company to purchase the particular item(s) in accordance with the Terms and Conditions of the Auction. The Bidder grants the Auction Company a standing authorization to charge the Bidder's credit card for any and all costs, fees, buyer's premiums, and storage disposal fees, as well as for any other costs, charges and/or fees incurred. Your bid must adhere to the bid increment schedule. Currency: USDBid AmountBid Increment0.00-300.002.50USD300.01-1,000.0025.00 USD1,000.01-2,000.0050.00 USD2,000.01-5,000.00100.00 USD5,000.01-10,000.00250.00 USD10,000.01-25,000.00500.00 USD25,000.01-50,000.001,000.00 USD50,000.01-100,000.002,500.00 USD100,000.01-9,999,999.9910,000.00 USDIF YOU HAVE ANY QUESTIONS PLEASE CONTACT CALLIE BABER AT 217.822.3304. 1994 American Eagle Silver Dollar UNC. (2) 1921 Morgan Silver $1's Mint Mark "S"
(2) 1951 Franklin Halves UNC. Full Bag of 1979 Philadelphia Dollars UNC. 2004 Michigan & 2007 Utah state quarters UNC. 2000 Virginia & 2002 Indiana State Quarters UNC. (12) 2006 Nevada & (4) 2005 West Virginia UNC. 2008 Alaska & 1999 Georgia State Quarters Unc. 2008 Hawaii & 2004 Iowa State Quarters UNC.